Fill out the form with any questions or inquiries you have for the sales consultants at Hazelwood. You can also call or chat with us for immediate responses. 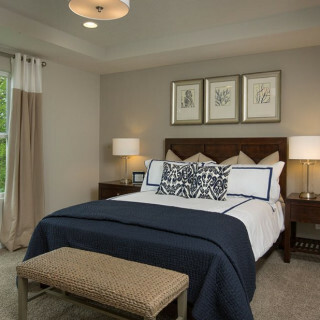 The Mitchell is known for its wide open layout including spacious secondary bedrooms. The formal dining room can accommodate a crowd for special events while the café and island provide casual dining options. The flex room can convert to a glass-doored den or a first-floor bedroom. 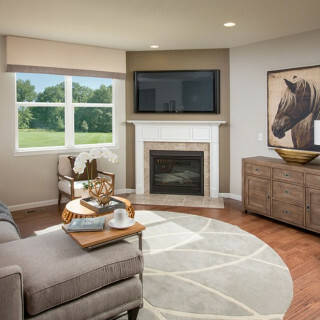 Upstairs the fourth bedroom can become an extended game room or a private owner’s retreat. 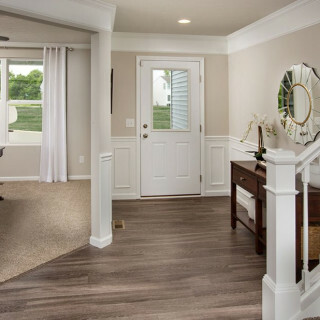 You’ll find ample space in the Mitchell from the formal dining room to the downstairs flex space. The open kitchen blends with the airy café and gathering room. Upstairs the loft area, 3 bedrooms and Owner’s Suite, delight families with extra space.